Here's how you and your neighbors can improve wireless networking performance in your area of campus. IT Services is engaged in a multi-year project to improve the density and location of wireless access points for campus and SIO users. You don't have to live with poor performance! If you experience dropouts, low signal strength, or other poor wireless performance in your office, lab, or campus area, call the ITS Service Desk. We will assign a wireless expert to survey your area. They'll help weed out sources of radio interference, install any extra access points that are needed and move access points as necessary to improve your wireless experience. Not all wireless hardware is designed for an enterprise environment such as UCSD’s, and some wireless hardware that works well in the home actually interferes seriously with the campus network, diminishing wireless functionality for everyone in the vicinity. 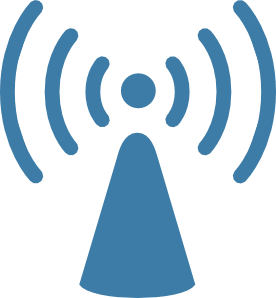 Wireless Access Point (including Apple AirPort, phone-based wireless hot spots, and small router/ switches that offer wireless services) — Remove, and call the ITS Service Desk at 246-4357 (6-HELP) to report poor wireless coverage in your lab, building or area. HP Printers — these printers often arrive with wireless turned on, and act like miniature wireless hot spots. Follow these guidelines to turn off wireless on your HP printer, and use your printer on the wired network. Wireless locks and sensors have the potential to interfere with the network. Read about wireless locks. Please check with IT Services before purchasing or installing such devices. If you or a colleague has one of these devices, please remove it and follow the recommended alternative. In your home, your neighbor’s access points in range can easily use alternate channels to avoid colliding with you. Because UCSD buildings have dozens of access points, they generally must make use of most of the available channels, making it difficult or impossible for other wireless devices to avoid collision. Collision can use up wireless bandwidth and/or make UCSD wireless radios turn their strength down to compensate. Use of devices that offer a wireless “service” to which other computers can connect is against University policy (PPM 135-3). These should be removed when possible, but when this isn't practical, relocating them away from access points and computers that use wireless can help. In most (though not all) cases these create more local interference than IT devices, which are designed to project their services over a long distance. If you're experiencing intermittent disconnects from the network on wireless, first, notice if any of the abovementioned sources of interference are nearby and could be the culprit. For example, we have found problems with laptops on the other side of the wall from a microwave oven that occurred right around lunchtime. If not, make a note of the disconnect dates/ times, and the wireless hardware address of your computer. Then call the ITS Service Desk for assistance in tracking down the offender. If you want to report poor wireless performance in your area, contact the ITS Service Desk. If you have questions about a device you would like to use on the network, or need to use a banned wireless device as part of research you are conducting, contact Valerie Polichar for assistance.